The laws surrounding marijuana use and possession in California have become significantly more relaxed in recent years, especially with the advent or medical marijuana and legal dispensaries which are authorized to sell marijuana to those with valid prescriptions. However, California law still prohibits selling marijuana to minors and those who violate this law can be prosecuted under California Health and Safety Code Section 11361 HSC. This is considered a serious drug offense and those convicted can face extensive prison sentences. California Health and Safety Code Section 11361 HSC applies to several different offenses involving minors and marijuana. Under this code section, a defendant can violate the law is he or she is an adult who is 18 or older and sells marijuana to a minor under the age of 18. This law also makes it illegal to hire or use a minor to assist in the distribution of marijuana, to give marijuana away for free to anyone under the age of 14 and to induce a minor to use or to try marijuana. In addition, it is also illegal to merely offer to sell marijuana to a minor, even if no sale is ever completed. The law has been interpreted as prohibiting adults from selling marijuana to minors regardless of whether the defendant knows that the person buying marijuana is under the age of 18. Not knowing the age of the marijuana buyer is not a valid legal defense to defendants who have been charged with selling marijuana to a minor. Even where the defendant legitimately believes that the marijuana buyer is an adult, there is no good faith defense and he or she could be prosecuted for this crime. If the defendant is accused of merely inducing a minor to try marijuana, there would be a good faith defense if the defendant legitimately had grounds to believe that the minor in question was 18 or over. Merely appearing to be over 18 would probably not be enough to raise a successful good faith defense. The sale of marijuana to a minor is not a crime that is treated lightly. A defendant who is convicted of this felony offense can be sentenced to serve up to five years in prison if the minor buying the marijuana is between 14 and 18 years old. 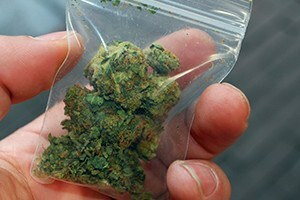 If the minor buying or receiving the marijuana was under 14 at the time of the offense, the defendant can be sentenced to a maximum of seven years in prison. There may be several defenses applicable to a defendant who is charged criminally under California Health and Safety Code Section 11361 HSC. In some cases, police agencies may employ teenage decoys in sting operations in order to target those suspected of selling marijuana to minors. If the decoy becomes overly aggressive or makes inappropriate claims or statements in order to induce the defendant into breaking the law, the defense may be able to advance a valid entrapment defense. Additionally, there may be cases where a person is involved in a marijuana selling operation but does not know that minors are employed to assist in the distribution of marijuana. In this case, a defendant would not be criminally liable under California Health and Safety Code Section 11361 HSC. If you have been charged or investigated for selling marijuana to minors, it is critical that you discuss your situation with an attorney who knows how to effectively defend drug cases. As a former Deputy District Attorney with over 14 years of prosecutorial experience, Michael Kraut is a skilled and respected litigator who does not back down from a challenge and works hard on behalf of his clients. For more information about selling marijuana to minors, and to schedule your free consultation, contact Michael Kraut at the Kraut Law Group located at 6255 Sunset Boulevard, Suite 1480, Los Angeles, CA 90028. Mr. Kraut can be reached 24/7 at 888-334-6344 or 323-464-6453.